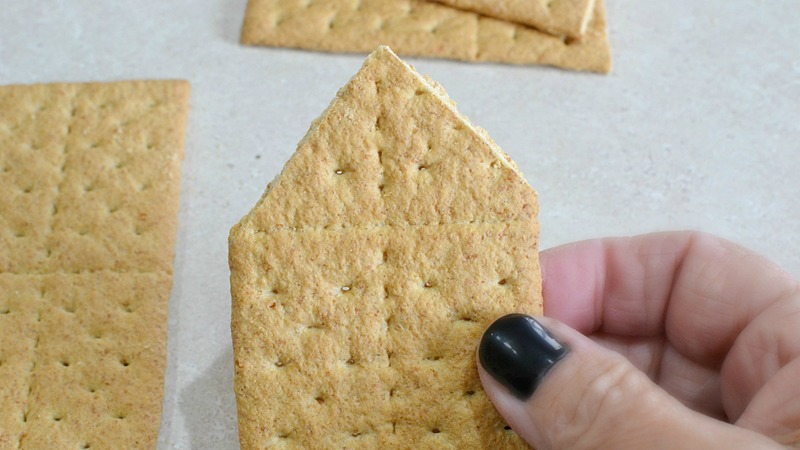 How to Make and Decorate a Mini Graham Cracker House Cake Topper | These cute little houses measure 2¼” wide, 3″ long and 4″ tall. 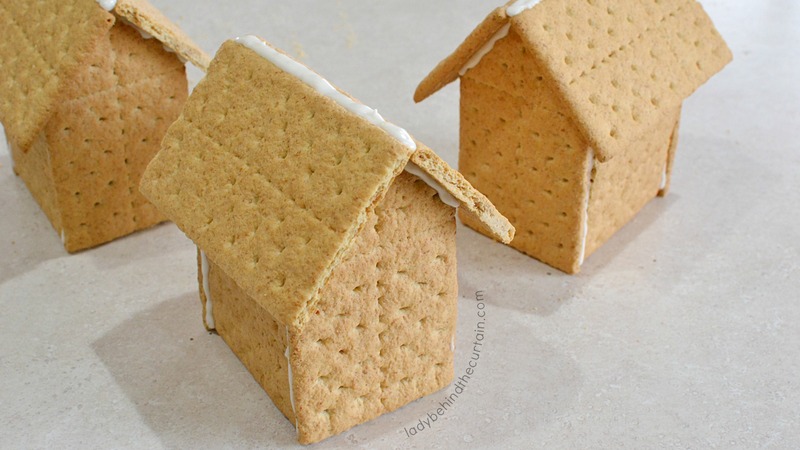 Perfect as a cake topper or make several for a fun edible village. 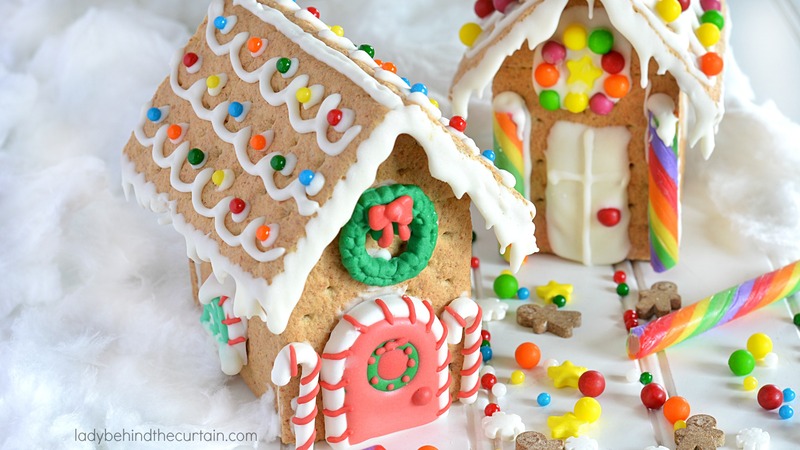 Perfect for a gingerbread house decorating party! 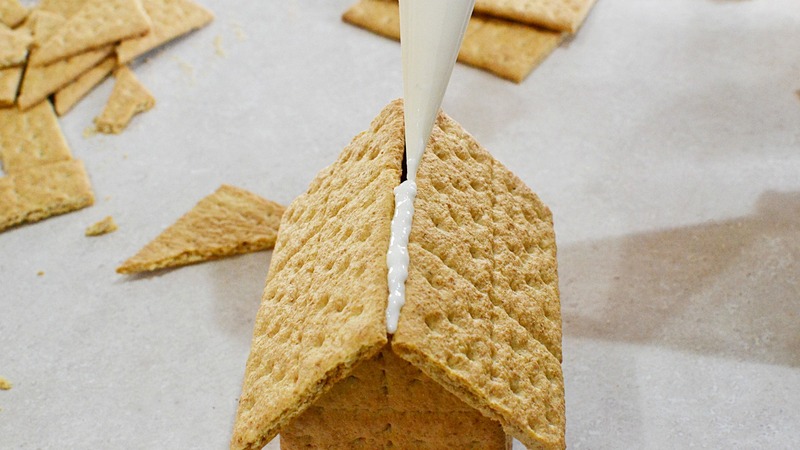 Kids love to make and decorate these mini graham cracker houses and so adults! Look at how cute this little house is on a cake! 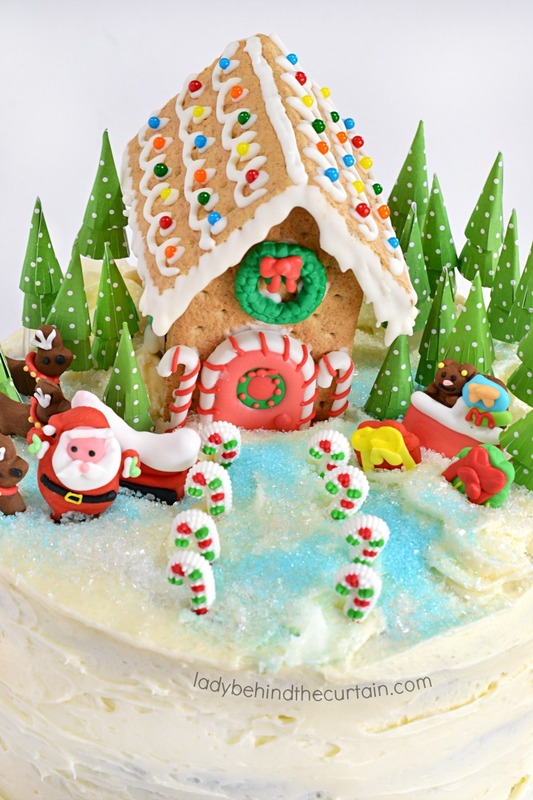 Click here to find out how to use this graham crack gingerbread house as a cake topper—->>>>GINGERBREAD WINTER WONDERLAND CAKE. 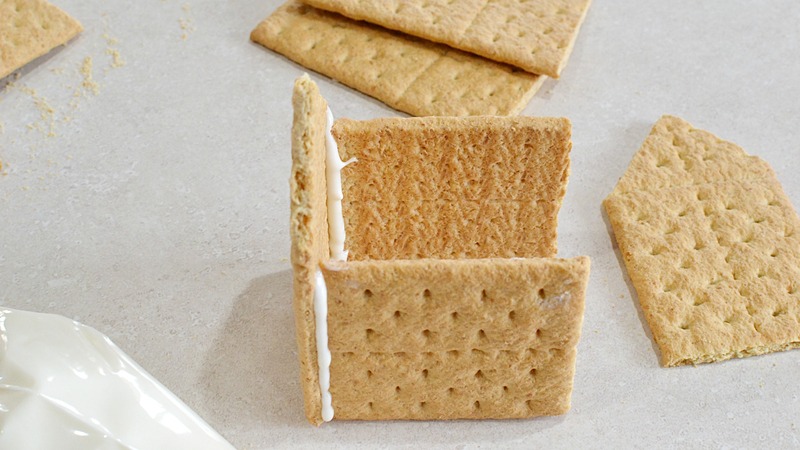 For the Side Walls: Break a graham cracker in half, the pieces will serve as both side walls. 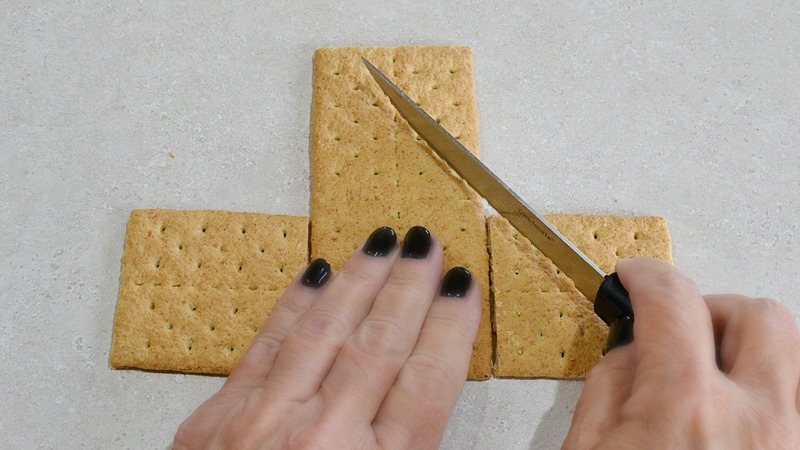 For the Front and Back: Line the broken halves on each side of a full sheet, take serrated knife and cut in a 45° angle on one side. Gently saw back and forth until you create a score line. Carefully break at the score line. Repeat on the other side. 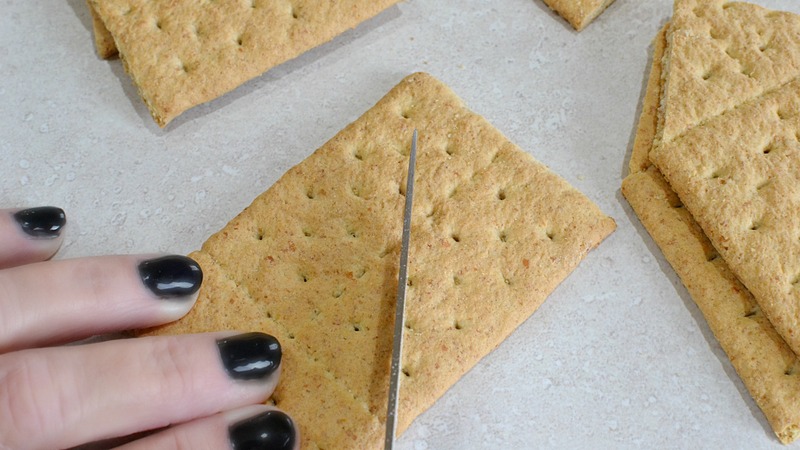 The score line will be a little rough, clean up edges with the serrated knife. Repeat for the back. Lay the cut front wall on top to cut the back wall the same. 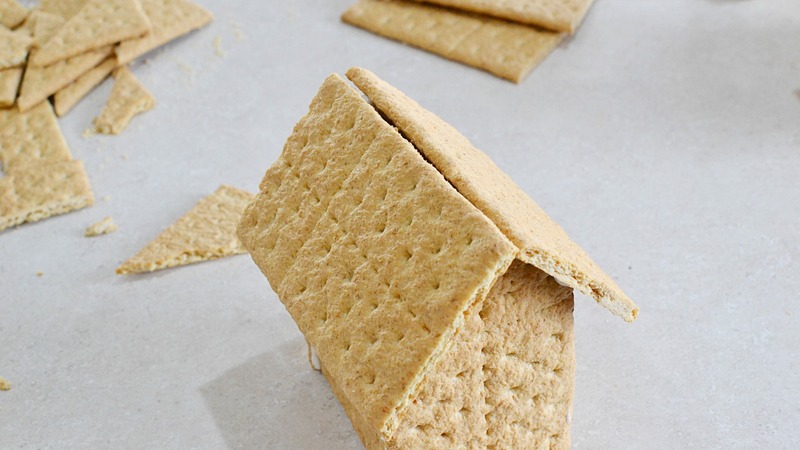 For the roof: Cut about a fourth off the top of the full sheet graham cracker. 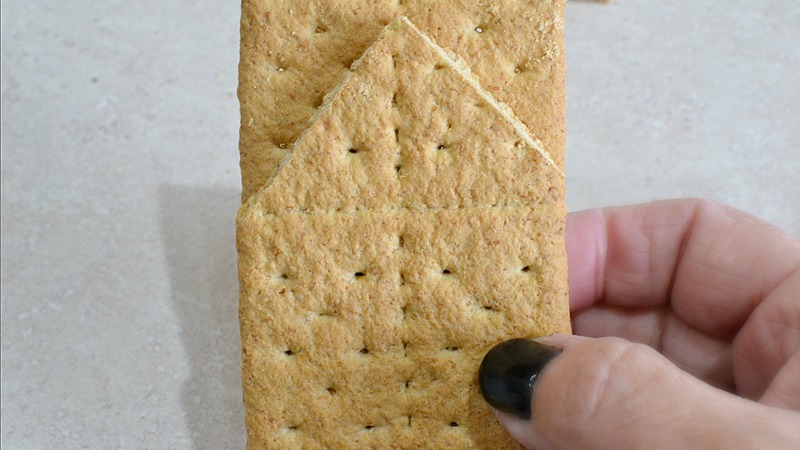 Saw back and forth like you did with the other pieces and break it off. Line another full sheet next to the one that was just cut and cut it off the same size. Clean cut edges. For the Icing: Powdered sugar and water. 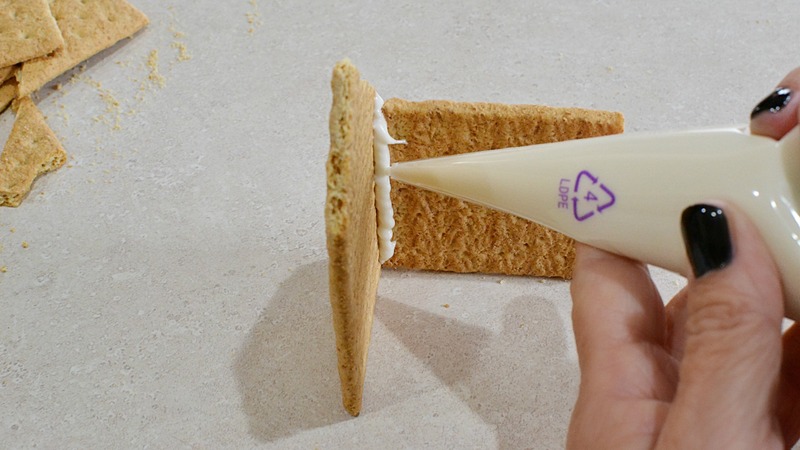 Make the icing so that when you drop it on itself it keeps its shape. 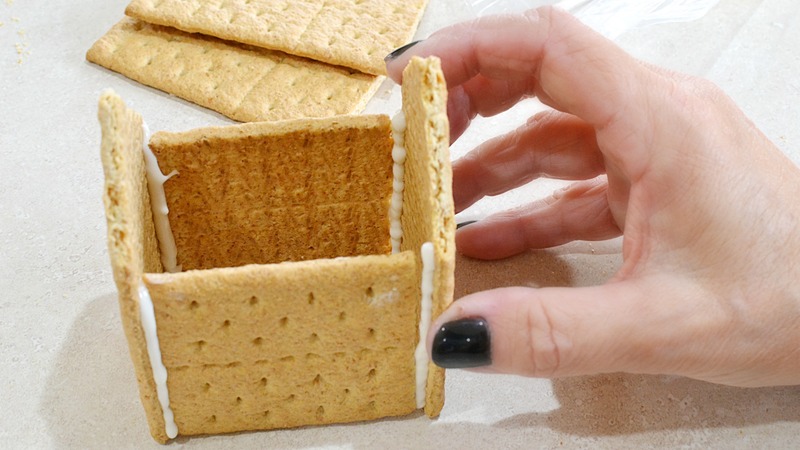 Spoon into a piping bag or zip top bag, snip the corner so that only about 1/8 of an inch of icing comes out. OR…. 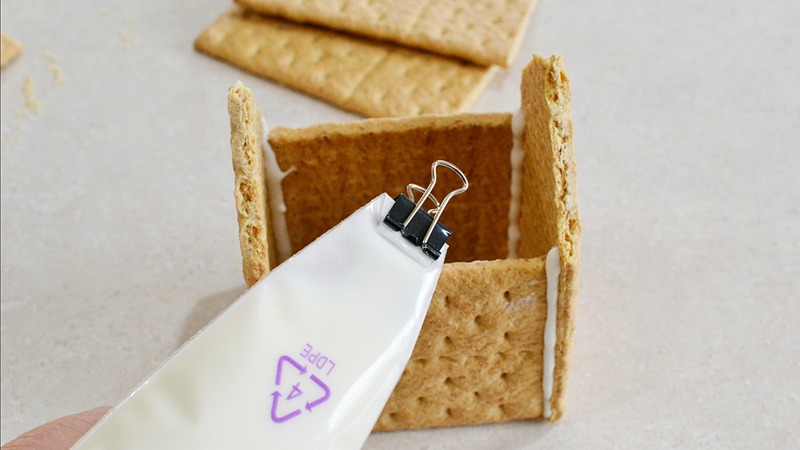 use Store bought royal icing from Wilton. 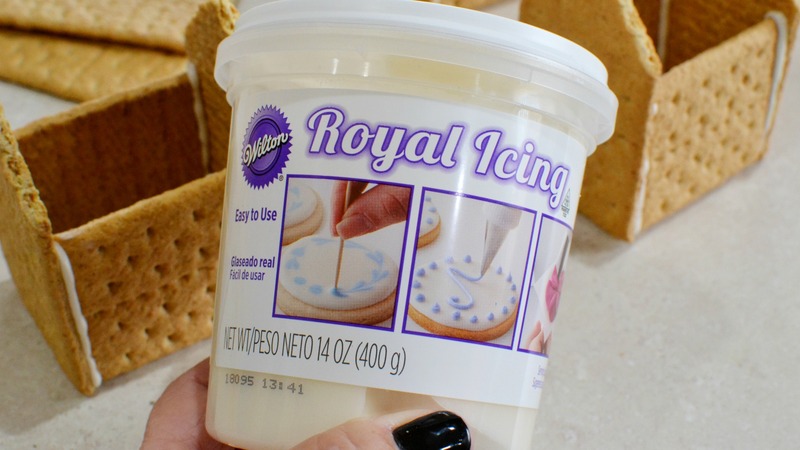 If using the Wilton Royal Icing: Spoon some into a bowl, add 1/4 teaspoon of water at a time, stirring between until the right consistency is reached. 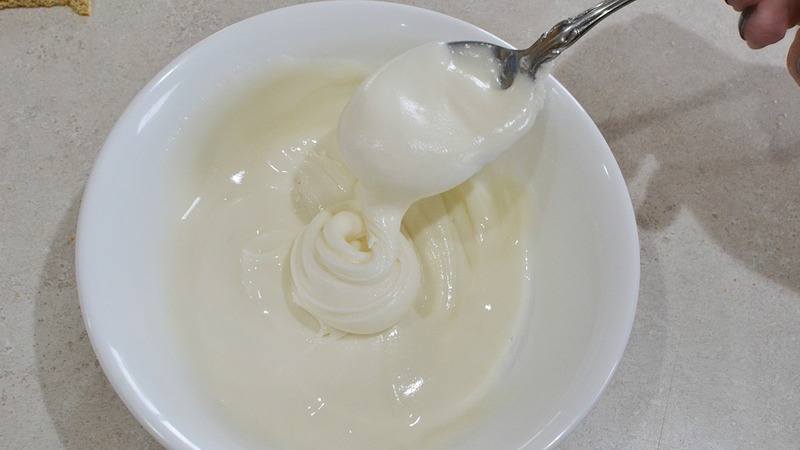 To determine if the consistency is right, scoop some up with a spoon, with the icing falls into the bowl it should keep its shape. 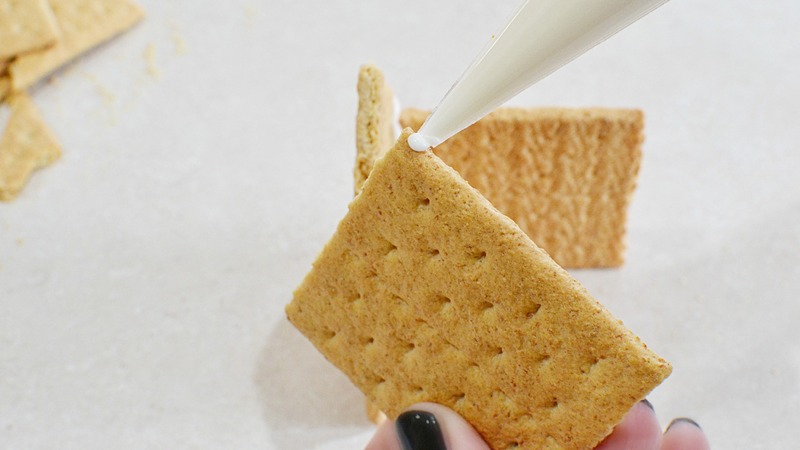 Spoon into a piping bag or zip top bag, snip the corner so that only about 1/8 of an inch of icing comes out. 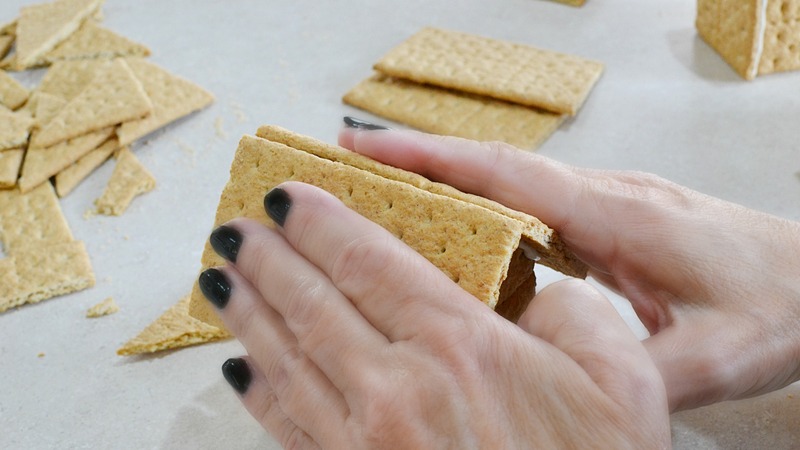 place on a front piece (with the peak) and hold. 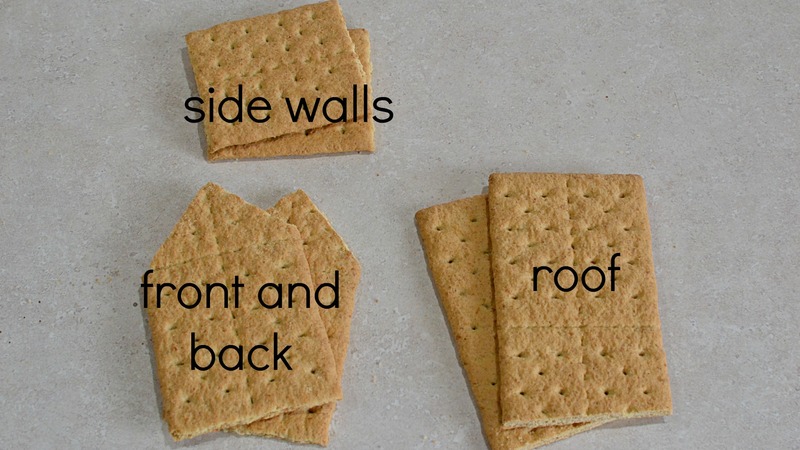 Add another bead of icing on the inside of the house wall. Hold for about 30 seconds. Repeat for the other wall. Pipe a bead of icing on both sides of the remaining end (with the peak). Press to the side walls to make a bond, be careful not to crush the house. Let the house sit until almost firm (about 2 hours). Once the icing is dry, pipe on the icing for the roof. 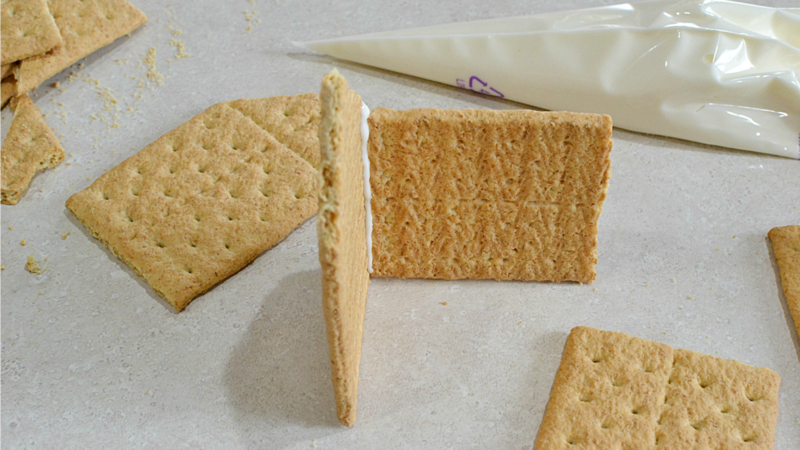 Only add icing to one side, press to create a bond. Repeat for the other side. 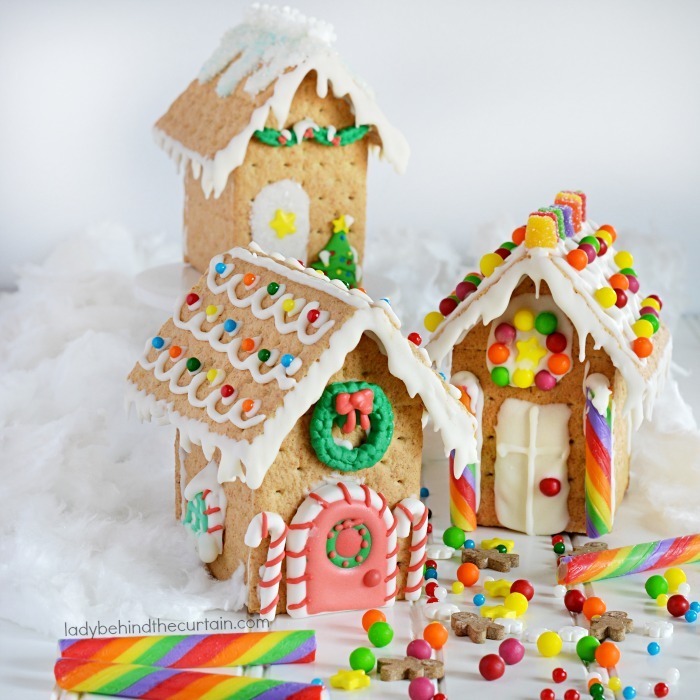 Add a line of icing to the top of the house. Set aside to dry overnight! While you’re waiting for the icing to dry close up the piping bag. 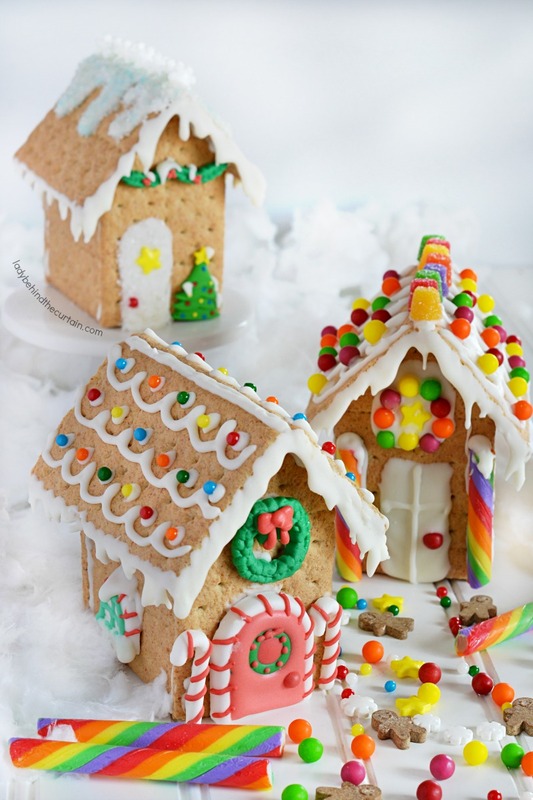 If possible wait to decorate the next day.